*What a difference a year makes! A year ago, CBS Radio was fending off what looked like it might have been a serious challenge to the massive revenue stream that flowed from its pair of NEW YORK all-news stations. WCBS (880) and WINS (1010), as well as Chicago’s WBBM (780). CBS Radio’s adversary back then was Merlin Media, the new group backed by deep-pocketed Chicago investors and headed by the colorful former head of Clear Channel and Tribune, Randy Michaels. In Chicago, the threat from Merlin’s all-news FM station seemed sharp enough that CBS ditched “Fresh FM” on WCFS (105.9) in favor of an all-news simulcast of WBBM. In New York, CBS had no FM to spare, so it rolled the dice on leaving WCBS and WINS in place on AM, where their dominance was bolstered by several other strong AMs, including another CBS entry, all-sports WFAN (660). As it turned out, of course, CBS won that bet in New York. Merlin’s “FM News 101.9” went down as a legendary failure, WCBS and WINS survived unscathed – and it was WFAN that ended up facing a stronger FM challenge when ESPN Radio’s WEPN (1050) bought WRKS (98.7) from Emmis to launch WEPN-FM. That, in turn, is why it’s WFAN, not WCBS or WINS, that’s getting an FM simulcast now that CBS has found a way to add a fourth FM station to its holdings in the market: none other than its erstwhile rival, Merlin’s 101.9, which shifted to a stopgap modern-rock format and returned to its previous WRXP calls after “FM News” imploded over the summer. MONDAY MORNING UPDATE: It turns out CBS intends to keep both TV stations and all seven radio stations, because it believes WLNY doesn’t count against the cross-ownership rules. Those rules were drafted in the days of analog TV, and they look at a TV station’s “Grade A” signal contour. If that contour completely encompasses a radio station’s city of license, that creates a “market” for cross-ownership purposes. The “Grade A” contour went away with the switch to digital, and CBS says the FCC has been turning instead to the “noise-limited DTV signal” as a temporary replacement metric. And what do you know? WLNY’s “noise-limited” contour includes only a fraction of New York City, encompassing much of Queens and a sliver of the Bronx. So CBS claims that under the cross-ownership rules, 101.9 can fit snugly into a “New York City” market defined by the seven radio signals and WCBS-TV, an acceptable cluster under the cap. And on the flip side of the rule, not one of those seven radio signals, even the big boomers on 660 and 880, puts enough signal over all of WLNY’s city of license, way out in Riverhead, to trigger any cross-ownership issues out there. In practice, of course, what really matters to CBS (if not to the FCC) isn’t WLNY’s little-viewed over-the-air signal, but rather the guaranteed spot on cable and satellite systems all over the tri-state area that the OTA license provides…and that’s affected by a completely different set of rules that have nothing to do with radio cross-ownership. So unless there’s a challenge to CBS’ carefully-constructed cross-ownership case, it appears the company is on its way to building the biggest radio-TV cluster in America. Where do the Yankees and the Mets go? For the 2013 season, both teams appear to be set, the Yankees with another one-year extension of their deal with WCBS and the Mets with their longtime home on WFAN. If the simulcast is still going by Opening Day, the Mets will appear on both 101.9 and 660; if the simulcast is over by then, the Mets will be certainly be on 101.9, and might even still be on 660, if the team sees a value in the AM station’s broader coverage. (For CBS itself, the broad reach of the 50 kilowatt AM signal is less important; while 101.9 doesn’t travel as far, it’s as good as any other New York City FM and enjoys similar nearly-full coverage of the New York radio market.) It’s 2014 that could potentially be much more interesting: will the Yankees want to be heard on FM, and will that pit WFAN-FM against WEPN-FM for the lucrative contract? This is where the 101.9/660 split, if it happens, could get interesting – Yankees on WFAN-FM and Mets on “FAN CBS Sports 660?” Yankees on 101.9/660 and Mets on 98.7? As for Yankees and Mets fans beyond the reach of New York FM signals, it will be up to the teams to find local affiliates in the Hudson Valley, central New Jersey, southern Connecticut and other areas that will likely lose easy access to the games from out-of-market New York AM signals. Football? Basketball? Hockey, if it ever comes back? The Giants will join most of the NFL on the FM band when their games, already on 660, show up on 101.9, and the Jets are the star franchise right now for WEPN-FM. The Knicks and Nets are also settled in, with the Knicks on 98.7 and the new Brooklyn Nets adding 101.9 to their existing carriage on 660. If and when the NHL starts playing again, the Devils will call 101.9 home, while the Rangers play on 98.7. Could the expansion of sports radio in New York once again give the Islanders a full-market radio home, too? What happens to the other sellers looking for New York City buyers? Merlin’s exit from the market continues a trend of consolidation that’s been rather intense this year. Buckley’s sale of WOR (710) to Clear Channel took one major standalone player out of the market – and probably eliminated any possibility of Clear Channel as a buyer in the near future, too, since it’s already at the five-FM cap and has no imaginable use for more than one AM to clear its Premiere talk programming. Inner City’s financial woes put WBLS (107.5) and WLIB (1190) in the hands of the new YMF group, which in turn partnered with Emmis in something just short of an LMA. Emmis itself has already parted with 101.9 and 98.7, and its own financial troubles mean its remaining owned-and-operated New York station, WQHT (97.1), is probably available to a buyer at the right price. So is Family Stations’ WFME (94.7 Newark), which was converted to commercial status last year but never officially put up for sale. In a market that’s now massively dominated by two of the big “C” companies – CBS and Clear Channel – who’s left as a potential buyer? There’s that other “C” company, Cumulus, which suddenly looks less formidable in New York with just two core signals (WABC 770/WPLJ 95.5) and a Hudson Valley suburban cluster, but it’s already stretched financially to pay for its acquisition of Citadel. Could public broadcaster WNYC make a surprise play for a stronger signal for classical WQXR? Is there room for more Spanish-language FM in the market, with both Univision Radio and SBS well under the ownership cap? Will EMF Broadcasting’s taste of the market (via class A move-in WKLV-FM 96.7) lead to bigger signals for K-Love or an entry for Air 1? This much, at least, is clear: if New York City once offered big opportunities to well-heeled standalone broadcasters like Buckley and the New York Times, it’s become a much higher-stakes game where the only viable English-language commercial players are either big clusters like CBS and Clear Channel or multimedia entities like ESPN. *As the new 1 World Trade Center rises into the lower Manhattan skyline, it’s still not clear how many FM and TV broadcasters will be attracted to the master antenna facility that’s being built on the 1776-foot spire of the tower – and it’s also not clear when that spire will be finished. The New York Post reported Friday that a dispute between the Port Authority of New York-New Jersey and a Canadian steel company is holding up delivery of the steel for the mast, and time is running short. If ADF Steel doesn’t get the metal moving, the winter closure of the St. Lawrence Seaway may prevent it from being delivered until the spring of 2013, putting the spire project behind schedule. The Post reports the Port Authority has sued ADF, claiming the steel company is holding up the 1WTC delivery while awaiting payment from the Port Authority for an unrelated project. How might a delay affect broadcasters? Probably not much: more than a decade after the 9/11 attacks destroyed the TV and FM facilities on the old 1WTC, nearly all of the broadcasters who used the Twin Towers are fully relicensed at other sites, mainly the Empire State Building but also 4 Times Square (which is, like 1WTC, managed by the Durst Organization for broadcast leasing) and several sites in New Jersey. With the predominance of cable and satellite for TV viewing, it’s not clear that broadcasters are feeling much pressure to upgrade the DTV signals that now come from Empire; indeed, plans to reconfigure the mast there for better DTV transmission have been stalled out as well. Even the FM stations that can’t be fully relicensed at Empire for spacing reasons seem to have settled in under Special Temporary Authority at slightly reduced power. But there’s a huge symbolic value, of course, to returning broadcasting to the World Trade Center, where six TV engineers died in the attack eleven years ago, and for that reason alone we hope the dispute gets resolved quickly and the steel keeps rising atop the tower. *There’s a new night show coming to Cumulus’ hot AC WPLJ (95.5), and it’s a big move up for a jock who’s already being heard in several of the company’s smaller markets. 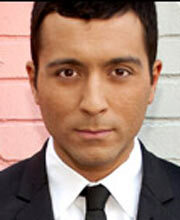 Ralphie Aversa started out in radio in Syracuse at WWHT (107.9) and moved down I-81 to WBHT (97.1 Mountain Top) in the Wilkes-Barre/Scranton market in 2007. His night show at “97BHT” has been airing in recent years on sister stations WPRO-FM (92.3) in Providence and WQGN (105.5) in Groton, Connecticut – and it will stay on all those stations as Aversa moves to the big city to take over nights at WPLJ. The “Ralphie Show” makes its ‘PLJ debut tonight, displacing at least part of the syndicated Billy Bush show. *In Albany, Jake Allen is the new morning man on Pamal’s country “Cat” WZMR (104.9 Altamont), joining Dana Race on what’s now the “Jake & Dana Morning Show.” Allen had been working weekends down the hall at WFLY (92.3), and he replaces Dylan Rudisill at WZMR. *Two CBS Radio obituaries this week: James McQuade had a long career in management at the company, starting in the 1960s as a sales executive and program director at WCBS (880) and the CBS Radio Network. In 1969, McQuade was named general manager of CBS’ owned-and-operated FM stations, including WCBS-FM (101.1 New York), WEEI-FM (103.3 Boston) and WCAU-FM (98.1). McQuade oversaw the stations’ conversions from automated operation to live and local formats, starting off with the “Young Sound” rock formats heard on many of the stations and then presiding over the risky (but ultimately very successful) shift to oldies at WCBS-FM. McQuade moved back to the AM side in 1980, serving as VP/GM of WCBS (880) until his retirement in 1986. He died October 4th in New Jersey. And Wayne K. Brown worked his way up from the security desk to become WCBS’ general sales manager, a post he held until 1990, when he left CBS to continue his sales career in the south. Brown worked for Radio One for many years, becoming VP/general manager of its clusters in Charlotte and Atlanta. Brown died of liver cancer last Saturday (October 6); he was just 55. *In the hall of fame of great radio nicknames, Russ Knight had one of the best. Born Russell Lee Moore, Knight wasn’t satisfied with just an air name, and so “Russ Knight” became “The Weird Beard” in the early years of top-40 AM radio. Most of Knight’s act played out on the airwaves far from NERW-land – he made a real name for himself at KLIF in Dallas and KILT in Houston in the early 1960s and later worked in Detroit and Cleveland – but he spent some time in our region, too, coming to New York’s WNEW (1130) in 1979 to serve as program director. Knight ended up living in Connecticut, and that’s where he died on Friday, at the age of 80. 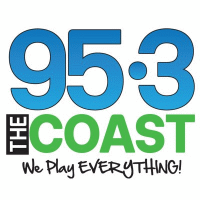 *On the coast where NEW HAMPSHIRE meets MAINE, there’s a new “Coast” on the radio: Clear Channel launched a variety hits format under that brand on Tuesday at noon over WSKX (95.3 York Center ME), ending several days of stunting with ocean noises. The new “Coast” closely matches the playlist down the coast at another recent Clear Channel launch, WHBA (101.7 the Harbor) in the Boston market. Like WHBA, WSKX is running jockless for now. *Another soon-to-be-former Nassau Broadcasting station is applying for a transmitter site change in the Lakes Region. WWHQ (101.5 Meredith) is currently a 6 kW/328′ class A signal from the WLNH-FM (98.3) tower on Parade Road between Laconia and Meredith, but like WLNH, it’s applying to move elsewhere. In WWHQ’s case, that’s the tower on Mount Rowe in Gilford, where it will share an antenna with WLKZ (104.9 Wolfeboro). Like WLKZ, WWHQ will run 560 watts/1065′ from Mount Rowe. *Moving on to MASSACHUSETTS, a veteran voice is missing at WEEI-FM (93.7 Lawrence). Jon Meterparel has been the “flash guy” for the Dennis and Callahan morning show since 2000, but on Friday’s show he announced that he’s leaving that role to pursue more opportunities doing play-by-play. Meterparel is already familiar as the voice of Boston College football and basketball on WEEI, and he’ll continue to be heard in that role. *There’s a new home for Jeff Santos’ progressive talk show: it’s now being heard weekday afternoons from 2-3 PM on WCRN (830 Worcester), where it displaces an hour of Mike Huckabee’s syndicated conservative talk. And there are new calls at Santos’ former radio home: WWZN (1510 Boston) quietly changed calls to WUFC last week. How does that match up with 1510’s new NBC Sports Radio format? Your guess is as good as ours…but if you’re keeping score at home, this is callsign #10 for the former WMEX, all in the space of less than four decades, and it puts 1510 just one call change behind 1150 in the all-time Boston call-change race. *In Springfield, ABC affiliate WGGB (Channel 40) tried an interesting experiment this year, bringing the former WHYN-FM (93.1) morning team of Dan and Kim on board to host a radio-style morning show on TV. “40 in the Morning with Dan and Kim” ended its run October 2, and married co-hosts Dan Williams and Kim Zachary acknowledge that the TV experiment “never became what we all wanted it to become.” WGGB is back to a more conventional morning newscast, and Williams and Zachary are hoping to return to radio. *A RHODE ISLAND LPFM station is looking for a buyer for its historic CONNECTICUT callsign. The WSUB calls spent many decades on AM 980 in Groton, where they paid tribute to the Navy’s submarine base there. When Citadel gave up the calls on 980 (the station is now Cumulus-owned talker WXLM), Chris DiPaola picked them up for his 96.7 in Ashaway, R.I., and now he (or rather WSUB’s licensee, the Buzz Alternative Radio Foundation) is hoping to give them up again. It’s a fundraiser for the station, which does modern rock as “the Buzz,” and DiPaola has set his sights pretty high: he’s starting the auction for the callsign at $50,000. Most of the money raised will go to support 96.7 under whatever its new calls will be (it was WRBZ-LP before becoming WSUB-LP last year), and 10 percent will go to the American Cancer Society. *Hartford’s Telemundo affiliate has a new digital signal. WRDM-CA started out on channel 13 in the 1980s and was eventually displaced to channel 50 in analog. The new digital WRDM-CD transmits on channel 19, but maps to 50, as does sister station WDMR-LP in Springfield, which has flash-cut from analog to digital on channel 51. *It’s been almost 75 years since a radio station in Atlantic City, NEW JERSEY has called itself “WPG,” but that’s about to change. The original WPG was a municipally-owned station broadcasting from studios at the famed Steel Pier, with a signal heard throughout much of the northeast. In 1938, the city sold off WPG to one of its channel-sharing partners at 1100 on the dial, WBIL in New York (an ancestor of today’s WADO 1280), and the callsign faded into the mists of history. But during his morning show today on WENJ (1450 Atlantic City), veteran talk host Harry Hurley will announce the return of “WPG” to the Atlantic City airwaves. While it can’t actually retrieve the long-defunct three-letter call (it stood for “World’s Playground”), Townsquare-owned WENJ is changing its calls to WPPG as it segues from ESPN sports to an all-talk format anchored by Hurley from 6-10 AM. He’ll be followed by Glenn Beck (10-1), a yet-to-be-announced local show from 1-3 PM, Sean Hannity at 3, Mark Levin at 6, John Batchelor at 9 and Red Eye Radio at 1 AM. As it turned out, the buyer of 92.1 probably won’t be keeping WTPA’s calls or format: the station is going to Patrick Sickafus for $530,000, and it’s widely expected that 92.1 will become an FM home for the classic country format Sickafus now programs on little daytimer WWSM (1510 Annville-Cleona) in the Lebanon area, east of Harrisburg. *When Cumulus signed on with CBS Radio as a partner in the upcoming CBS Sports Radio Network, the rumors started swirling that it would mean an end to Cumulus’ affiliations with ESPN Radio. Last week, the New York Post reported the shift is more than a rumor: it says Cumulus will pull the “Worldwide Leader” off 47 of its stations come January, when the new CBS offering launches. In NERW-land, those shifts will affect current Cumulus-owned ESPN outlets WHGB (1400 Harrisburg), WGLD (1440 Manchester Township/York), WRIE (1260 Erie), WINE (940 Brookfield CT)/WPUT (1510 Brewster NY) and WHLL (1450 Springfield MA). *Another AM station in CANADA is heading to the great “plates off” button in the sky, but unlike most of the station exiting the senuor band, CJRN (710 Niagara Falls) isn’t leaving voluntarily. Last week, the CRTC notified CJRN that its license will not be renewed, ordering the station off the air no later than November 30. Why the “death penalty” for this venerable AM station, which traces its history back to 1946 and the old CHVC (1600)? Some history is in order: under longtime owner Keith Dancy, CJRN was a full-service signal into the 1990s, when it launched a low-power tourist information signal on 91.9 called CFLZ. A shuffling of the Niagara FM dial moved CFLZ to 105.1 with much higher power, and by 2002 the growth of FM and decline of AM made it tempting for the Dancy family to turn the FM signal into a full commercial operation. To make that happen, the Dancys asked the CRTC to shift the tourist information license to 710, and for a decade now the CJRN license has been constrained by license conditions that require it to carry only pre-recorded tourist information. CJRN has the opportunity to appeal the ruling. It’s not clear yet if it will do so; the 710 facility appeared to be off the air when we checked late last week. *There’s a new CBC Radio One signal on the air along the St. Lawrence River. CBOB (91.9 Brockville) fills in an area between the CBC’s Ottawa (CBO 91.5) and Kingston (CBCK 107.5) transmitters where Radio One reception was sometimes iffy. In Quebec, Radio-Canada wants to change the license status of its Espace Musique outlets in Trois-Rivières and Sherbrooke. Those signals (CBFX-FM-1 104.3 Trois-Rivières and CBFX-FM-2 90.7 Sherbrooke) are currently licensed as “transmitters” relaying CBFX-FM (100.7 Montreal), but Radio-Canada is asking the CRTC to instead license them separately, allowing for “distinct regional programming” and 20 minutes a week of specific local content for each city. At the same hearing on December 11, the CRTC will also consider applications from two prospective low-power broadcasters in Quebec: the parish of Saint-Gerard wants 1.2 watts on 98.5 in Weedon (east of Sherbrooke) to carry “live masses, weddings, funerals, baptisms and other such religious celebrations” for a few hours a week, while Radio Vallacquoise wants 5 watts on 106.5 in Val-des-Lacs for a developmental community station. *Good news, everybody! 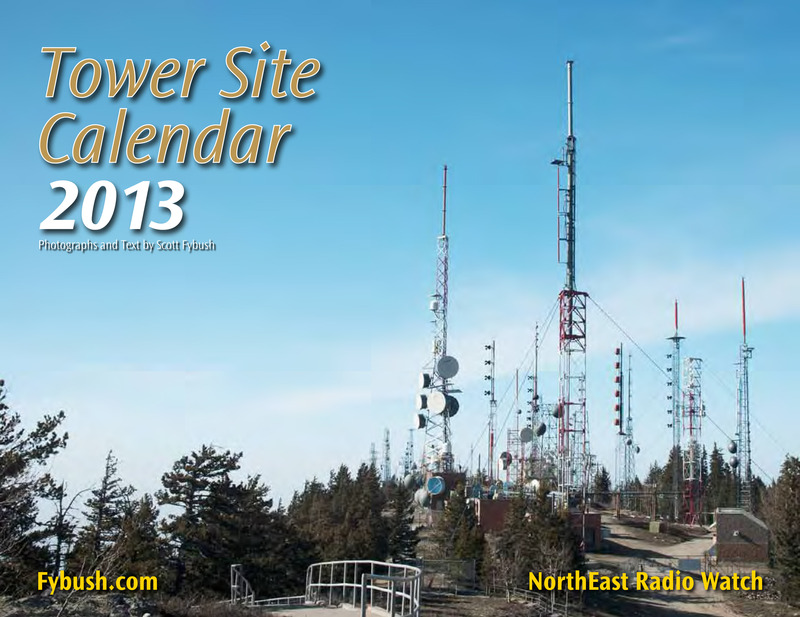 The 2013 Tower Site Calendar is finally back from the printer this week, and on its way out to YOU! *Tower climbing is dangerous work, and the news from MASSACHUSETTS provided another reminder of that last week. On Wednesday afternoon, an Iowa-based climber was at work on a project to replace the ladder inside American Tower’s “FM 128” site on Chestnut Street in Newton (recently featured here on Tower Site of the Week) when he plummeted 500 feet to his death. The 1252-foot tower is the main site for four FM stations (WBUR-FM 90.9, WJMN 94.5, WBZ-FM 98.5 and WODS 103.3) and the auxiliary site for five more, as well as the main site for two full-power TV stations (WMFP and WBPX) and several low-power TV stations. *Radio People on the Move in CONNECTICUT: Mike Picozzi has vanished from the airwaves at WCCC-FM (106.9 Hartford), where the veteran jock had been doing mornings; afternooner Jay Raven has moved to the morning shift there. *The worst-kept secret in western PENNSYLVANIA radio has been confirmed: CBS Radio’s KDKA-FM (93.7 Pittsburgh) will be the new home of Pirates baseball, beginning with spring training next year. The new multi-year deal, for which terms have not been disclosed, ends a five-year run for the Bucs on Clear Channel’s WPGB (104.7), as well as ending Clear Channel’s monopoly on Pittsburgh’s pro sports radio rights. Because the Pirates’ announcers work for the team, there won’t be any change in the booth for next year. But there will be more baseball coverage on the radio: unlike WPGB, where the Pirates coverage was an interruption to the station’s usual talk format, the team will be an integral part of the sports format on “93.7 the Fan,” with extended pre- and post-game shows, a weekly show on Sunday featuring Pirates GM Neal Huntington and lots of tie-ins with the rest of the CBS cluster in Pittsburgh – including the team’s former home of many decades, KDKA (1020). Regent Broadcasting is exiting one of its upstate NEW YORK markets, opening the door for an Oklahoma owner known for his religious stations to enter the region. While Regent was a dominant player in the Watertown market, where its country WFRY (97.5) often pulls some of the highest shares of any station in any rated market in America, that market (Arbitron ranked #279) was also the smallest in Regent’s portfolio, making the $6.25 million deal with David Stephens’ KXOJ, Inc. an easy one for the Cincinnati-based group owner. In addition to country giant “Froggy,” KXOJ Inc. also gets classic hits WCIZ (93.3 Watertown), news-talk WTNY (790 Watertown) and sports WNER (1410 Watertown) – and we’re left to wonder what exactly an Oklahoma operator plans to do with a cluster in northern New York. Make that two clusters, actually: KXOJ is also buying a group of St. Lawrence Valley stations from Tim Martz for $5.25 million. Up there, KXOJ gets AC “Valley” WVLF (96.1 Norwood), top 40 “Yes” WYSX (96.7 Morristown), oldies WPAC (98.7 Ogdensburg), classic hits WRCD “Fox” (101.5 Canton, rimshotting Ottawa), country WNCQ (102.9 Canton) and oldies WMSA (1340 Massena). *A veteran Utica morning man is changing signals. Former WRCK (107.3 Utica) morning man Bill Keeler has been leasing morning drive on Clear Channel’s “Kiss” simulcast (WSKS 97.9 Whitesboro/WSKU 105.5 Little Falls) and selling his own airtime, but with Kiss about to change hands (it will go to Ken Roser as part of a big shuffle of Utica ownership), Keeler is taking his morning show elsewhere – specifically, to Mindy Barstein’s WXUR (92.7 Herkimer), which has been without a morning show since the end of Don Imus’ syndication last summer. In Albany, Paul Vandenburgh has now officially departed WROW (590), and he’s gone public with his plans to buy WTMM (1300 Rensselaer) from Regent. Vandenburgh tells Capital News 9, where he was doing his shows on Fridays, that he’ll relaunch WTMM with a talk format similar to the one he ran there when the station was known as WQBK; he’ll also bring Dan Lynch over from WROW for afternoons. 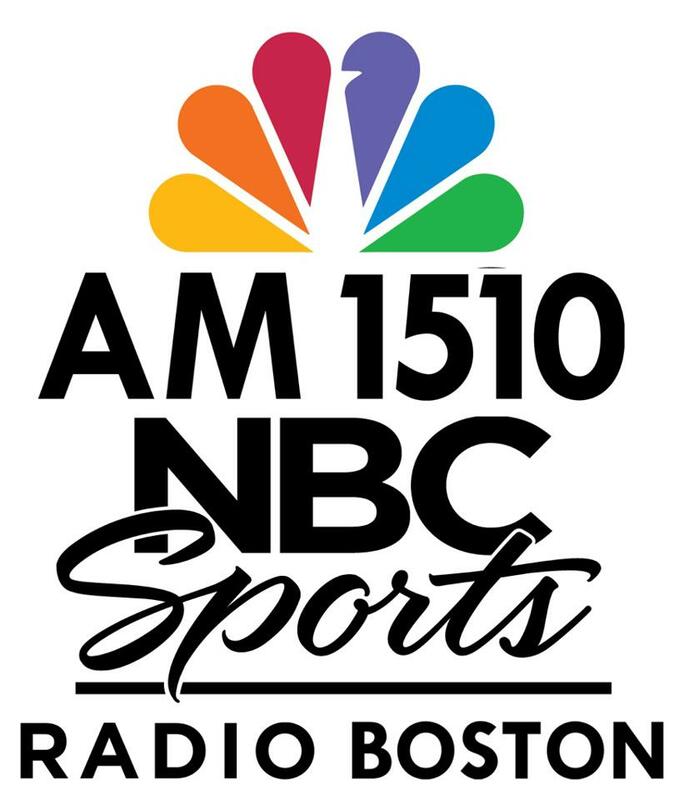 J.J. Wright didn’t take long to find work after being let go from WROR (105.7 Framingham); after doing some fill-in at WODS (103.3 Boston), Wright was named the station’s full-time afternoon jock last week, displacing Brian Murphy from that shift. WRCA (1330 Waltham) submitted its application to move its day and night facilities from South Street in Waltham to the WUNR site in Oak Hill, Newton; the station would run 25 kW day from five towers and 17 kW night from four towers, if neighbors ever approve the reconstruction of the site to accomodate WUNR, WRCA and WKOX (1200 Framingham). It’s not clear that the move would actually get WRCA much more coverage than it currently enjoys from the Waltham site, in any event. Plenty of news from CANADA this week, starting with some big changes on the way at CKGE (Magic @ 94.9) and CKDO (1350), the Oshawa stations being sold by Corus to the owners of country CJKX (95.9) in nearby Ajax and smooth jazz CIWV (94.7) over in Hamilton. Nearly a dozen CKGE/CKDO staffers have been told their services won’t be needed when the new owners take over, reports MilkMan Unlimited, leading to speculation that the 94.9 signal will end up simulcasting “The Wave” on adjacent 94.7 for better Toronto market coverage. The CRTC will consider still more FM applications at a hearing this fall in St. John’s, Newfoundland, including several in southern Ontario: United Christian Broadcasters wants a 45 kw signal on 102.3 in Belleville, with a contemporary Christian format. Barrie Christian station CJLF (100.3) wants a transmitter in Peterborough, with 500 watts on 89.3, while in nearby Lindsay, CKLY (91.9) wants to move from the old CKLY 910 site just south of town to a tower 13 km southeast (close to Peterborough itself), upping power from 14 kW to 29.3 kW in the process. Finally, two obituaries: in Montreal, they’re mourning Ted Blackman, the morning host at CKGM (Team 990), who died Wednesday (Oct. 2) of liver and kidney failure. Blackman had a three-decade history in Montreal print and radio circles, including stints as program director of the old CFCF, morning host at CJAD, and jobs at the Montreal Gazette and the defunct Star and Daily News. Blackman was 60. One of Boston’s best-known morning men is searching for a new radio home this week. Ken Shelton’s contract with Greater Media’s WBOS (92.9 Brookline) expires at the end of this month and will not be renewed. Shelton has been at WBOS since 1995, when he was let go from Infinity classic rocker WZLX (100.7), where he had been for two years after a lengthy stint at WBCN (104.1). Shelton’s brand of personality-driven morning radio was at odds with the “morning music station” image WBOS PD Jim Herron has been crafting at the station. There’s no word yet on a successor for Shelton; WBOS is planning to use celebrities to fill in for several weeks. There’s also no word on Shelton’s future plans following his last show Friday morning. Out in central Massachusetts, there’s a new addition to the shrinking roster of live, local AM radio. Ed Skutnik has regained control of Greenfield’s WGAM after selling it and sister FM WRSI (95.3), and he’s now programming WGAM (1520) with a live format featuring lesser-known oldies from the 50s, 60s, and 70s. Also up in Franklin County, Northfield’s WNMH (91.5) is once again doing live student programming from Northfield-Mt. Hermon School weekdays after 2 PM. The “Radio One” CHR satellite service still fills the off hours. On to MAINE, where one of New England’s oldest family-owned broadcasters is calling it quits after seventy-two years. The Maine Broadcasting System traces its roots to Henry Rines, who founded WCSH radio as a promotional vehicle for his Congress Square Hotel in Portland back in 1925. In later years, the company would add WLBZ radio in Bangor, followed in the fifties by TV outlets in both cities. (The radio stations were later sold off and are now WZAN (970) Portland and WZON (620) Bangor). This week, Rines’ grandson, Frederic Thompson, told staffers at WCSH-TV (Channel 6) and WLBZ-TV (Channel 2) that he’s selling the stations to Gannett, giving the media giant its first Maine holdings. Elswehere in the region, Gannett owns newspapers in Connecticut, Vermont, and upstate New York, along with WGRZ-TV (Channel 2) in Buffalo. The company is not related to Maine-based Guy Gannett, which owns TV and newspaper properties across southern Maine. The purchase price was not announced, and Thompson says no layoffs are planned. WCSH-TV has long been the top-rated news outlet in Portland, while WLBZ-TV is in second place behind WABI-TV (Channel 5) in Bangor. Majac Broadcasting is making some big moves in one NEW YORK market. After selling its properties in the Flint, Michigan area, Majac is spending $6.7 million to become one of the major owners in the Binghamton market. For $6 million, Majac gets Enterprise Radio Partners’ hot AC WMRV (105.7 Endicott), AC WMXW (103.3 Vestal), and sports WENE (1430 Endicott), and for another $675,000 Majac gets rocker WKGB (92.5 Susquehanna PA) from KG Broadcasting. The stations draw a total of more than a third of the Binghamton market’s revenue. Just outside the region, but worth mentioning: In Reading, Pennsylvania, WEEU wants to move off the crowded 850 channel to a new home on 830. If its application is approved, WEEU would move from its current site northwest of town (which is about to be redeveloped as a shopping center) to a new five-tower array far to the northwest, alongside I-78 near Shartlesville. Day power would be 5kW (up from one), with 6kW at night. And Canada could soon get its first expanded-band operation. Radio Asia Canada has applied for 1670 kHz in Toronto. NERW wonders how the CRTC will view expanded-band applications at a time when Canada seems to be abandoning the AM dial as fast as it can. The thing that stands out with the WUFC calls is the UFC, however it’s Fox Sports Radio, who’s currently affiliated with WBZ-FM, that carries simulcasts of UFC on Fox events. While I realize that people “speak” by tuning into certain stations, it’s still such a shame that the #1 market is lacking in so many different formats, and now about to lose their newest one yet again. Why does “mass-appeal” only have to mean hearing the same artists over and over and over again and not giving others a chance to also become mass-appeal? Ratings and money, that’s all the radio business is about — and it shouldn’t come as a shock when people continue to abandon FM radio for their much more diverse iPod playlists and satellite radio! Question—-What are the rules about AM/FM simulcasting? I remember back in the 60s when, in cities over 100,000 population , AM/FM stations could no longer simulcast more than 50% of progrramming. A move which helped create a lot of great FM radio stations. Whats changed? I’m hearing of simulcasting more and more. Are there limitations or can it be permanent? Thanks. The AM-FM simulcast rule is gone now. There’s another rule (rarely if ever enforced) that bars stations from simulcasting on the same band, if their signals overlap by more than a certain percentage. If WFAN leaves 660 in a few years, the late night call in shows, where many of the regular callers are from as far away as Florida, won’t be the same. Sure they will. They’ll just listen online instead of on the radio. WFAN is on several HD subchannels in various parts of Florida, I suspect that is where most of the calls are coming from. Hi Scott, Loving the website. Any idea on what would be the best 5000 watt station in NYC for a Holistic, Metaphysics and Spirituality network like http://www.MyBTRN.com? I’m not familiar with the area and am looking for cheap cheap airtime.